Now, I’m going to preface this story by saying that we do not condone violence in any way, shape, or form. On a similar note, we absolutely do not condone bullying, whether it’s emotional or physical. The video we’re about to share with you portrays both bullying and violence, but it appears as though it was done in self defence. And when words fail, sometimes you just need to get physical in order to protect yourself. We’re not totally sure the scenario in which this video is taking place, but it involves a few highschoolers from California. They’re in some sort of altercation, with a small cheerleader and the “bully” at the center of it. The cheerleader repeatedly says that she’s not interested in fighting, and that she doesn’t want to fight. 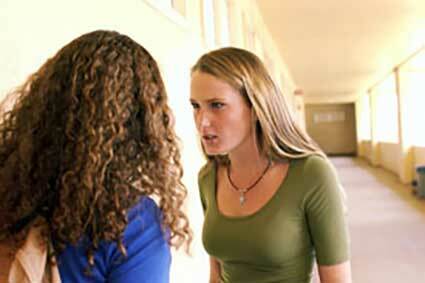 However, the bully ultimately attacks her. And that’s when things take a turn. Although the cheerleader is about three times smaller than her opponent, she somehow manages to flip the bully and get on top of her. Eventually, the fight is broken up by bystanders, and the bully walks away. 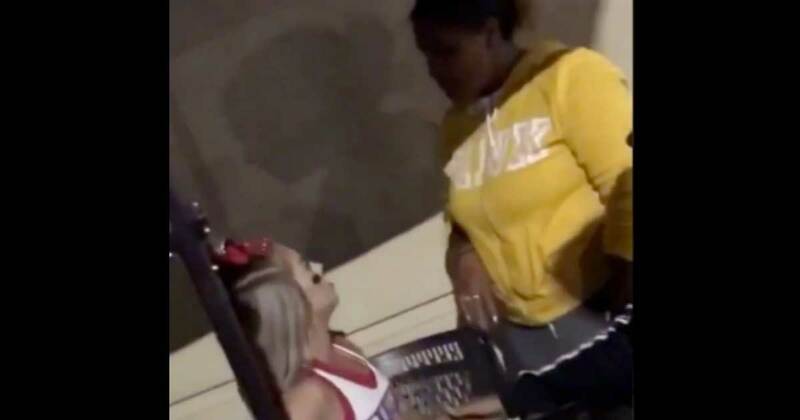 Because the cheerleader had said multiple times that she didn’t want to fight before being attacked, I guess her response was pretty understandable. It’s just incredible how someone so tiny was able to flip someone that much bigger than her. Anyways, if you want to see this surprising display of strength in action, click on the video below. Remember to teach your children that fighting is never the answer, and that it’s always better to use your words and walk away before things escalate to physical violence.